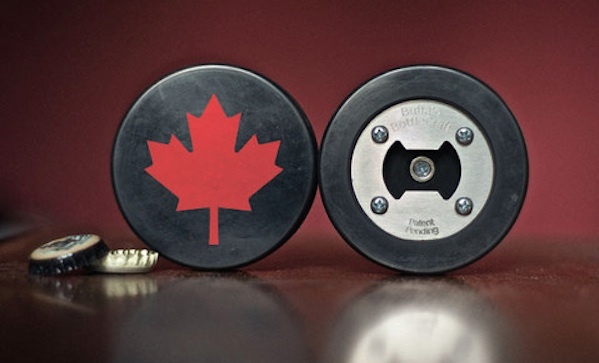 Hockey pucks are sweet, bottle openers are a modern man’s necessity, so obviously the two go together. Hockey puck bottle openers ($12) are made in Buffalo, and they’ll do custom orders if you’re buying ‘em wholesale. Note to the retail PR people regularly reading this: custom hockey puck bottle openers are way cooler than key chains. Trust us.